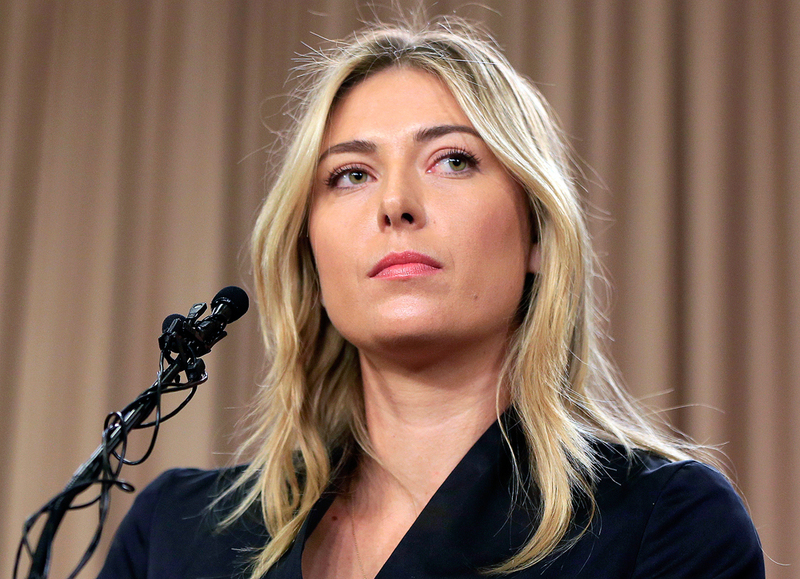 Maria Sharapova speakings about her failed drug test at the Australia Open during a news conference in Los Angeles. "Fans of the Porsche Tennis Grand Prix can look forward to Maria Sharapova making her eagerly-awaited return to professional tennis at the long-standing tournament in Stuttgart," the press service reported. "The 29-year old former world No. 1 and five-time Grand Slam winner will play her first match in the Porsche Arena on April 26, the day she can start competing again at tournaments." Sharapova, who is currently under suspension over anti-doping rules violations, was allowed last year by the International Tennis Federation (ITF) to play at exhibition matches before her ban expires. She already played two exhibition matches. The tennis star returns without ranking it will need a wildcard to enter the tournament in Stuttgart, which can be considered as Sharapova’s most favorite ones since she won it three times in a row between 2012 and 2014. "I could not be happier to have my first match back on tour at one of my favorite tournaments," Sharapova was quoted as saying by the tournament’s press service. "I can't wait to see all my great fans and to be back doing what I love," she added. The tennis player has been serving a two-year suspension for the violation of anti-doping regulations since January 26 last year. However, the Swiss-based Court of Arbitration for Sport (CAS) ruled on Oct. 4, 2016 to reduce her suspension term from 24 to 15 months. Sharapova is officially eligible to make her comeback on April 26 this year.